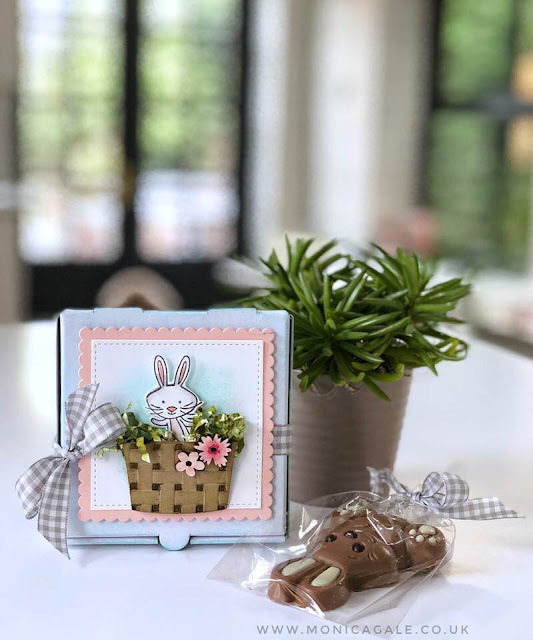 I have another Easter Crafts Ideas Treat for you today. The Mini Pizza Boxes from Stampin Up makes treat giving so easy, it literally takes minutes to dress them up and the result is something really special. It really only took a few minutes to put together. I started with a flat pizza box which I sponged lightly with some Pool Party ink. 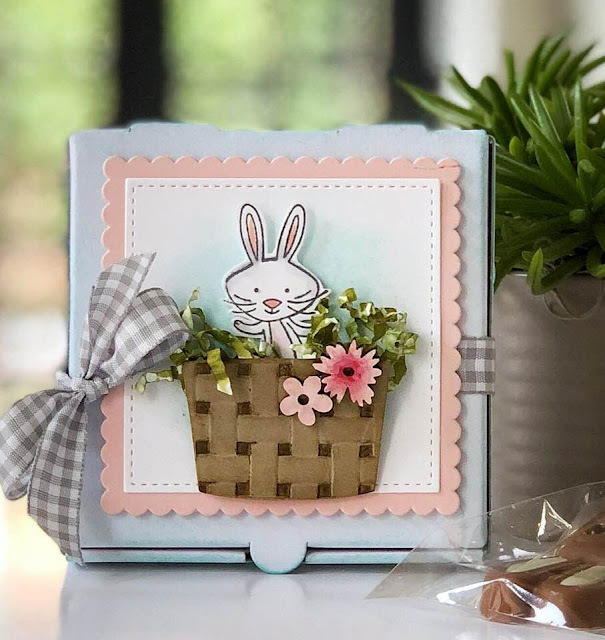 Powered Pink scalloped mat cut with THESE DIES the Stitched Layered mat with THESE ONES made the basket from the Coffee Caffe dies and the bunny itself came from the We Must Celebrate stamp set. I embossed the basket (cup) with the Basket Weave embossing folder which is a FREE with purchase item until the end of March. The Ready Shreddie coloured in green added some fab texture to the whole project and a couple of flowers coloured with the Pink Pirouette Stampin Blends from the Touches of Nature Elements completed my lovely package. You love it? Its beyond cute, I simple adore it. You can find all of these products in my online shop and if your order is less than £150 make sure you use this month code. 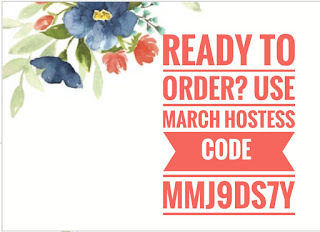 If its over £150 then go ahead and place it without the code so that you can collect your own hostess rewards. Thank you so much for joining me today, and if you want to stamp with me live tonight make sure you come over to my Facebook Page and start following it. I will be doing a LIVE broadcast at 8.30pm GMT Hope to see you there, come and say HELLO would love to see you.